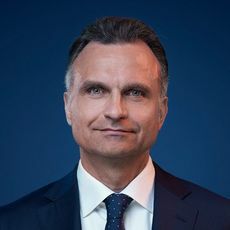 Dr András Gurovits is a partner at Niederer Kraft Frey Ltd, Zurich, Switzerland. His main areas of practice are arbitration and litigation, sports, TMT and corporate governance. He is a listed arbitrator with the Court of Arbitration for Sport (CAS) in Lausanne, a member of the legal committee of the International Ice Hockey Federation and a member of the board of directors of the Neue Grasshopper Fussball AG, the corporation operating the professional football activities of the Swiss multisport club Grasshopper Club Zurich. Dr Gurovits regularly advises clients in civil and commercial disputes before state courts and arbitral tribunals, as well as in administrative proceedings before the relevant state authorities. Further, he regularly acts as sole arbitrator, member of a panel or chairman in arbitration proceedings before the CAS. His corporate governance experience includes, in particular, the planning and implementation of organisational regulations, codes of conduct and similar instruments to ensure the proper conduct of commercial entities, sports governing bodies and sports organisations. His sports practice covers all aspects of sports-related issues, such as commercialisation of sports rights, organisation of sports events and management of sports organisations.